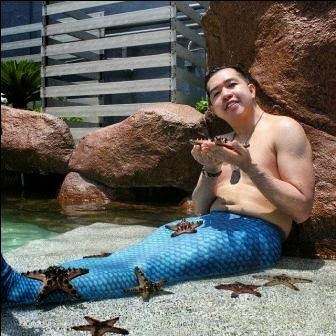 Home Dyesebel Merman Merman Pictorial Merman Swim Merman Swimming Experience Rocky as a Merman Sam Milby Sirena Sireno Throwback 2014 #Throwback2014: "Once a Merman"
Mermen and mermaids also became a trending topic in 2014 as ABS-CBN made they own TV series version of Mars Ravelos' "Dyesebel." The title role was played by Anne Curtis. But in the said TV series, it also gave rise to the mermen played by the hunk actors like Albert Martinez, Markki Stroem, Jay Gonzaga, Rigor Gorospe, and Sam Milby. Yours truly also joined the bandwagon. 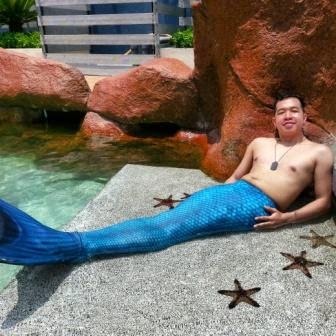 Before the summer of 2014 ends, I also became a merman with a blue tail.